New Directions Publishing Corporation, 9780811202084, 155pp. In England and America Dylan Thomas made his art and personality widely known through public readings, radio broadcasts and recordings. 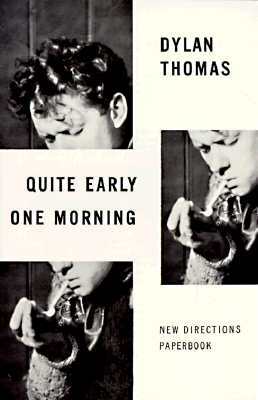 Many of the 25 short stories, autobiographical sketches and essays in Quite Early One Morning, a volume planned by Thomas shortly before his death, were read by him on such occasions. They are alive with his verbal magic, his intense perception of life, his gargantuan humor and with the very ring of his voice.